Even when peace is not the current state of affairs in our lives, we can strive to maintain peace as a state of mind. There will be a full moon lunar eclipse on March 23, 2016. This one will be powerful! 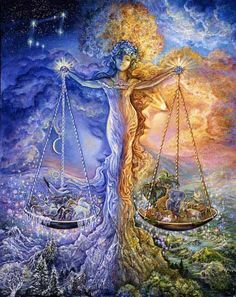 The Sun will be in Aries (God of War) and the Moon will be in Libra (Harmony). Conflict and the resolution of conflict are major themes for this full moon. It will be necessary to be assertive, and take decisive action, in order to re-establish emotional equilibrium. Chiron (The Wounded-Healer) and Ceres (The Nurturing Mother) will be together with the South Node (Unfinished business from the past), opposing the North Node (The direction of our future). Issues may come up around motherhood, parenting, child support, child custody, child visitation, nurturance, nourishment. Remember to take time for self-care, even while you are caring for others. We must heal the past in order to heal the future. These tensions will be reflected within the consciousness of Humanity. If you have any points in your birth chart that connect directly with the aspects above, then these tensions will likely manifest within your life experience as significant opportunities for soul growth related to the keywords outlined above. The best way to determine if this is true is to have an astrologer run your birth chart and then check to see where these current astrological transits fall within it. I have FAITH, in the past, believing that everything that has happened up until this moment has been necessary for my soul growth. I have HOPE, in the future, knowing that the total consciousness in the Universe always increases and my unique experience is part of that process. I am CHARITABLE, in the present, giving my gifts as fully as possible without attachment to outcome and trusting others to do the same. Please contact me if you want further insight, or need support.